As a way of supporting our mission, the Library welcomes the use of its meeting rooms. The purpose of this policy is to insure an orderly, peaceful and efficient use of library meeting rooms and equipment so as to accommodate and provide fair access to as many groups and organizations as is reasonably possible. 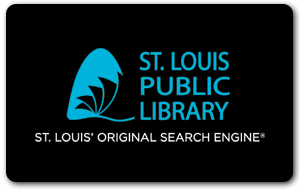 Meeting rooms of the St. Louis Public Library shall be made available free of charge to non-profit groups and organizations whose memberships are composed primarily of residents of the City of St. Louis; their purposes and objectives must be in the public interest. This includes the small meeting rooms at Central Library. An adult over the age of 18 must be responsible and in attendance at meetings. Meetings shall be open to the public. No meeting shall cause undue interference with regular library service and operations or endanger Library employees, patrons, or property. Failure to comply will result in termination of the meeting and rejection of future applications for use of meeting rooms at any library in the system. Meetings shall not conflict with library sponsored programs and in the event of such conflict, the library program shall receive priority. The Library reserves the right to revise any scheduled meeting arrangements and to preempt established reservations on reasonable notice to the applicant. The use of the meeting rooms shall not result in financial gain for the organization or its members. Meeting rooms may be reserved a maximum of three months in advance of a public meeting. Library-related programs shall receive priority in scheduling. Outside groups interested in using the Library's Computer Training Centers should contact the Deputy Director's office at 539-0340. Specific policies apply and are listed in the Computer Facilities Policy. Under normal circumstances, at most locations, a group may not book a meeting room more than one time a month. The Library shall determine any exceptions based on the space available, the time and day requested, and intervals between meetings. There shall be neither admission fees nor collections. No monies will be exchanged on library property. Solicitations and the selling of products or services are prohibited. No food or refreshments shall be served. Smoking is prohibited. Equipment or furniture belonging to any group shall not be stored in library buildings without the written permission of the library. Space, staff, and activities of the library will determine whether storage is permitted. The library will not assume responsibility when materials, etc., are left on the premises. Any group desiring to use library-owned equipment in the meeting rooms must make a written request for its use. Groups using such equipment shall assume financial responsibility for any damage to, or theft of, equipment in their possession. Any group using a meeting room is expected to conduct its proceedings in a quiet, orderly manner. Groups using the room are responsible for reasonable care of the room and will be held responsible for any damage and the general condition of the room following use. Standard room arrangement of chairs and tables is provided. Special arrangements should be requested on the application form. Fees may be charged for special arrangements of furniture and equipment use. Meetings shall be held during hours when library staff members are regularly on duty and shall be finished insufficient time to vacate the buildings no later than closing time. In the event that a meeting is canceled, the library shall be notified so that this space may be made available to others. Meetings will not be scheduled on Sunday without the approval of the Library Administration. In the event of a Library building emergency or weather-related emergency, the Library reserves the right to cancel the meeting. Any meeting organized by a campaign committee or group designed specifically to promote or oppose a candidate or ballot issue shall not be permitted. Meetings at which candidates will discuss current election issues shall be permitted provided the meeting is hosted by a non-partisan, non-profit organization (e.g.. League of Women Voters) and all candidates for the same office have been invited. Meetings held by elected officials to gather community input or communicate with their constituents (e.g. Town Hall Meetings) are permitted. Discussion groups studying religious topics are permitted. Meetings held by outside groups are not programs sponsored by the library. Purposes, objectives or views of groups using the meeting rooms shall not be advertised in any way to suggest that they are endorsed by the St. Louis Public Library. Any publicity for the meeting must include the statement "This is not a program sponsored by the St. Louis Public Library." Any phone number on the publicity must be that of the organization hosting the meeting, not the library. The Administration of the St. Louis Public Library shall be the final authority in granting or refusing permission for the use of the meeting facilities. The Library reserves the right to refuse future bookings to groups that fail to appear on scheduled meeting dates or do not abide by any of the above policies. Terms used above have been defined and are available at all Library locations. ORGANIZATIONS: An organization is not limited to individuals over 18. An adult over the age of 18 must be responsible and in attendance at meetings. For large groups of children, a minimum ratio is one adult to five juveniles. OPEN TO THE PUBLIC: It is acceptable that meetings will be of specific interest to members of an organization. However, all meetings shall be open to the public. EXCEPTION: A public governmental body may hold a closed executive session pursuant to the Sunshine Law (Chapter 610, RSMo) if the executive session is held in conjunction with an open meeting. This policy is not interpreted to mean that all must be guaranteed access to a meeting if the capacity of the facility has been reached and additional participants would result in safety or fire hazards. It does not preclude limiting the number of participants in the workshop or course where such a limitation is essential to the effective presentation of the workshop or course. However, such limitations must be announced in advance. UNDUE INTERFERENCE: No meeting should cause major difficulties in accomplishing the library's circulation, reference, or program function. crowds too large for meeting space available. insufficient parking places for library patrons as a result of the meeting. noise level of the group. The location of the meeting rooms in relation to the reading room is important. The same activity may not be acceptable in a building with meeting rooms adjacent to the reading room as in one where meeting rooms are on another floor. ADMISSION FEES: Tuition and supply costs assessed by tax supported institutions or not-for-profit organizations incorporated in the State of Missouri are considered neither admission fees nor collections. Adult education courses and university extension courses are examples of programs that may be approved. For other non-profit workshops or instructional programs, a fee, not to exceed the costs of materials used at the session, may be charged. No one may be excluded from the meeting because such materials’ charges are not paid. Craft workshops, safety instruction courses, and adult education programs are some of the types of meetings that may have materials’ charge. Materials’ charge does not authorize a group to pay an instructor or speaker through attendance, admission or speakers’ fees or to ask for donations to cover organizational expenses. COLLECTION: In keeping with Board policy that all meetings must be open to the public, no monies may be exchanged on library premises. Nothing may be sold or exchanged to raise money. Organizational dues, tuition, supply costs, etc., must be collected elsewhere. However, the failure to pay such fees will not be reason to deny anyone attendance at meetings. Attendance at a meeting does not require an organization to extend the attendee voting rights, credit hours, supplies, etc., included in fees. Solicitations and the selling of products or services are not permitted on library property. FINANCIAL GAIN: The Missouri Constitution prohibits the use of tax monies for private gain; therefore, any individual or group to which personal or collective financial gain would accrue through the use of the meeting rooms will be denied use of these facilities. lecture or workshops where the fees are returned directly to the lecturer. tutors paid by individual(s) for being tutored. Employee training sessions for profit-making organizations. business or organizational meetings of unions, management or employee association. investment groups where decisions to buy/sell are made.